Has your server been configured with the memory it needs to perform as its role expands over time? HPE Server Memory is designed for SMB and enterprise customers with a significant need for performance and capacity along with a desire to manage total cost of ownership. HPE SmartMemory enables total server memory optimisation, runs at top throughput speed and is among the most power-efficient memory available. In addition to performance and efficiency, HPE SmartMemory also delivers on reliability. Only the highest-quality DRAM modules are selected from top suppliers. 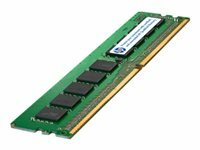 Now more than ever, DRAM quality is critical, as data center trends such as server virtualisation, cloud computing, and the use of large database applications have increased the need for higher-capacity memory with greater up-time. HPE SmartMemory undergoes rigorous qualification and testing processes that unlock memory performance features available only with HPE servers.